I shoot outdoor, on location naturally lit photos during early morning light, or during sunset. very rarely will a book a session during harsh daytime light unless it's an event outdoors. 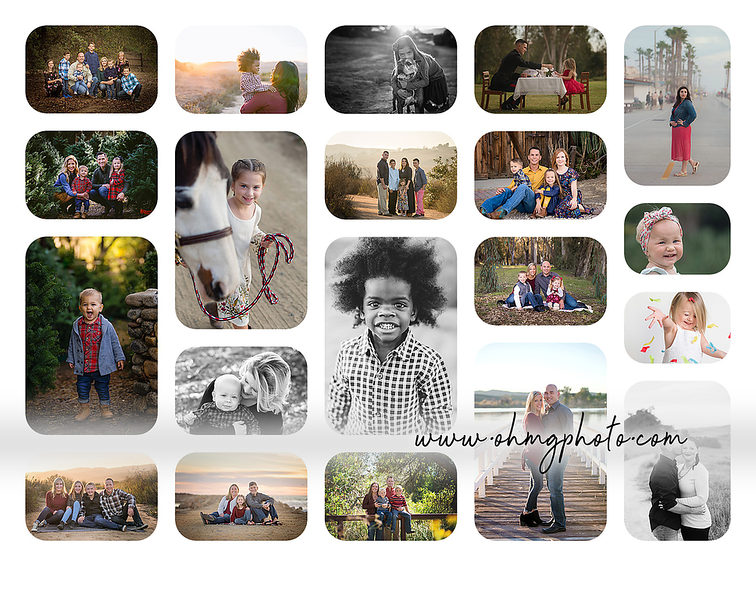 I offer family sessions (large and small!) Also offered are children's sessions which are great for birthday milestones and holidays. Sometimes its nice to send family back home photos of the kiddos as they grow up, often times hundreds of miles away! Maybe grandma and grandpa made a special visit out to see you and you want to capture some photos while they're in town. There's SO many reasons to get in front of the lens! I also am available for fresh 48-hr sessions which is where I come to YOU in the hospital right once you've welcomed your bundle(s) of joy into the world. I can be there for you during a re-enlistment ceremony of your armed service branch. I'm versed in change of command ceremonies, and retirement ceremonies as well. My name is Melissa Garcia and I am MG. I live on Camp Pendleton, CA in Oceanside, CA. I shoot Family and Children's photography as well as outsource edit for newborn and family photographers world wide. From homecomings to cake smashes to fresh 48-hr sessions, i love to capture memories!